Becauae Germans are good at taking penalties, when one of them says an Englishman is the ‘best penalty taker ‘ he’s ever seen, we take notice. The penalty king is none other than Liverpool’s James Milner, who hasn’t missed any of the seven spot kicks he’s taken for the Reds. This season he’s scored four from four. Milner is the powerhouse player any manager would love to have in their squad. 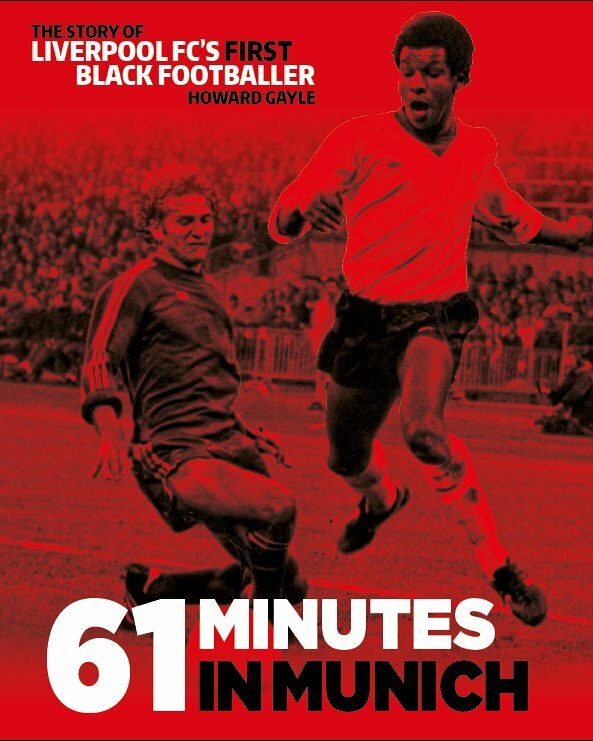 When James Milner announced his retirement from international football, he robbed England of a versatile player who has, as George Caulkin puts in in the Times, “always valued proficiency ahead of individuality”. What does that make him sound like? Yeah, a German. 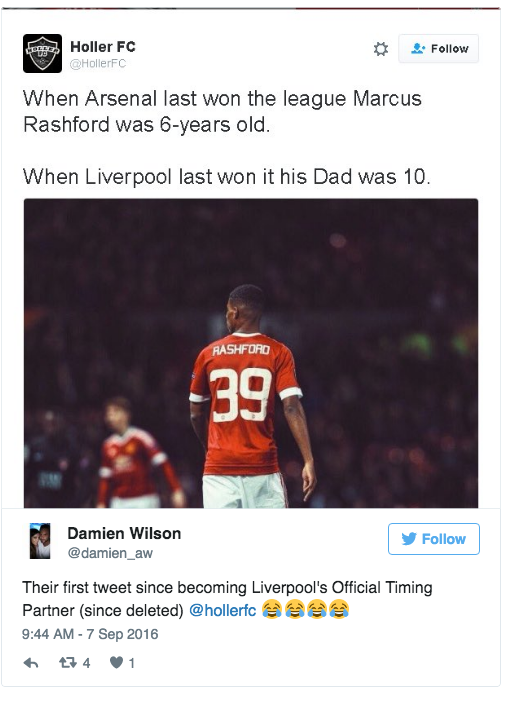 And you now how good they are at football – and penalties. We love peculiar job titles in football. Chelsea have “loan player coaches“. QPR have “kit monitorers”. Liverpool used to have “director of football strategy”. What that means is unclear. But at one point the man with the job was Damien Comolli. He had us right up to “philosophy”, then we kind of zoned out. Conelli is not the manager, not the coach and not entirely just a scout. ‘Director of football strategy’ seems to be job made in the corporate world, a title based on presentation over presence. Comolli’s role has been extended to oversee all football-related matters outside of first-team training and selection, which are under the remit of the caretaker manager Kenny Dalglish, who replaced Hodgson on 8 January. “The day I got sacked they [Liverpool’s owners] told me I had made a big mistake on Jordan and he was a waste of money. “Everybody is entitled to their own opinion, but I think we paid the right price. He was a young English, British player and we know very often that British players are overvalued. But we were more than happy to pay the price because we thought he would become an outstanding player. Henderson is well aware comments made in Sir Alex Ferguson’s book that his running style would cause injury problems will be seen as prophetic. In fact, it is believed a change in boots was the catalyst for the issue last season allied to a work overload which has prevented the 25-year-old having a summer break for 14 years. “I don’t think it has anything to do with my gait, it might have, but I very much doubt it,” said Henderson. The trade in footballers is about making an educated guess. Players can be lucky and unlucky, careers ended by injury and elevated by chance. To say you knew for certain Henderson was going to be the Liverpool captain is nonsense. It was a good guess – and one realised by the luck of Henderson, a talented player, being part of a very poor England team and a Liverpool side with few options. 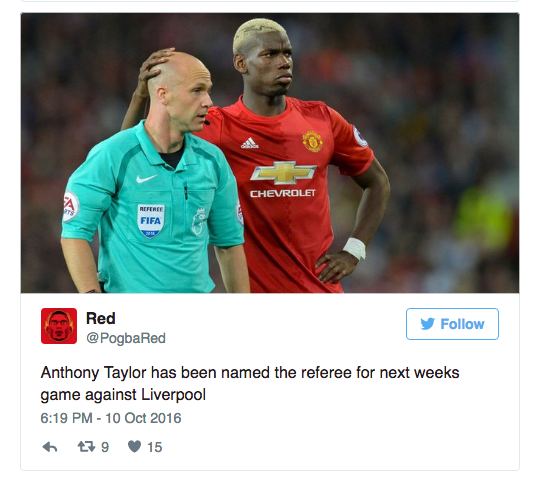 Much hoo-ha over the appointment of Manchester-based referee Anthony Taylor for the Premier League match between Liverpool and Manchester United. The idea is, presumably, that Taylor will favour Man United over their rivals? Or maybe he’s a diehard United loyalist who hates the club owning Glazers and wants their version of United to fail and will favour Liverpool? Or maybe his loved ones support Manchester City or Everton and to keep them happy Taylor will go studs-up on United’s David De Gea and red card Paul Pogba for having non-regulation hair? Taylor doesn’t support Manchester United, preferring the allure of non-league Altrincham. The rules state that referees can only be barred from officiating matches featuring a club they support. So what of the criticism of Taylor? Former referee Keith Hackett says Taylor’s treatment has been “grossly unfair”. Ex-ref Graham Poll says Taylor “should certainly not raise any eyebrows despite him living and working in the Manchester area”. A referee’s address is not a factor in selecting them for matches. Conclusion: If you want to be a top-flight referee, the advice is to support a team that is either never there or one prone to relegation. Arsene Wenger, Mesut Ozil and Alexis Sanchez are names that appeal to all Arsenal fans worried that all three will leave the club. 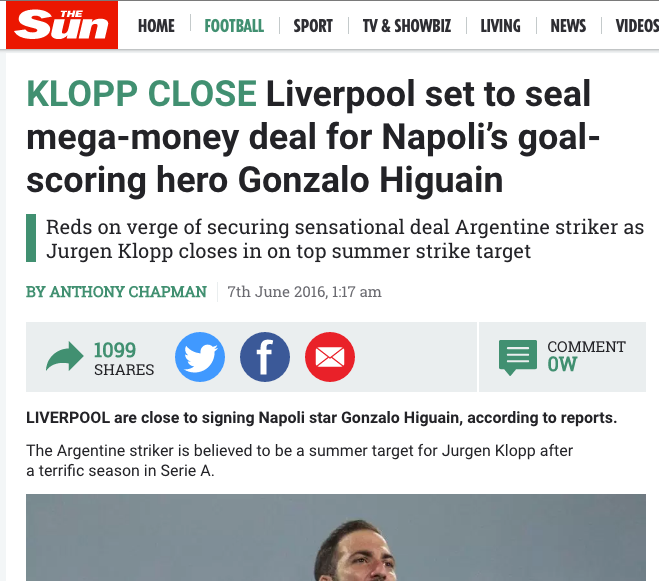 Jurgen Klopp news seduces Liverpool fans hungry for news of their charismatic manager. Griezmann is the top striker at Atletico Madrid wanted by a host of Premier League clubs. 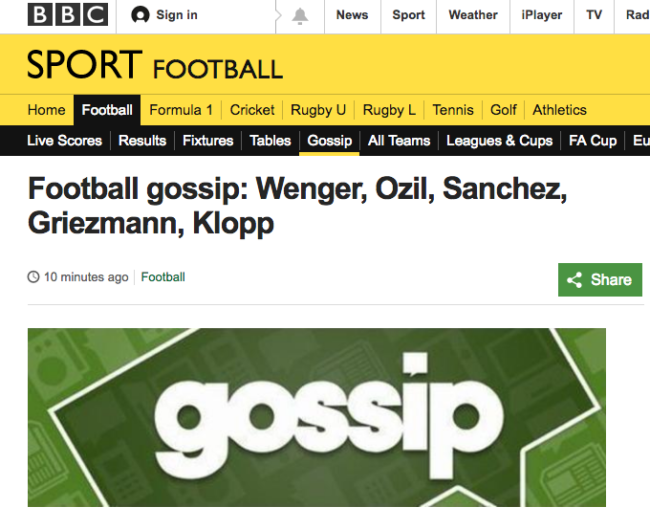 That’s not exactly “gossip” is it. The BBC is funded by the licence fee tax. Why does it need to resort to clickbait to attract readers? Hillsborough is back in the news. It never went away. We still await justice for the 96 people killed at the FA Cup semi-final in 1989. It took 26 years for the State to admit the dead were innocent. How long will it take to nail the guilty? 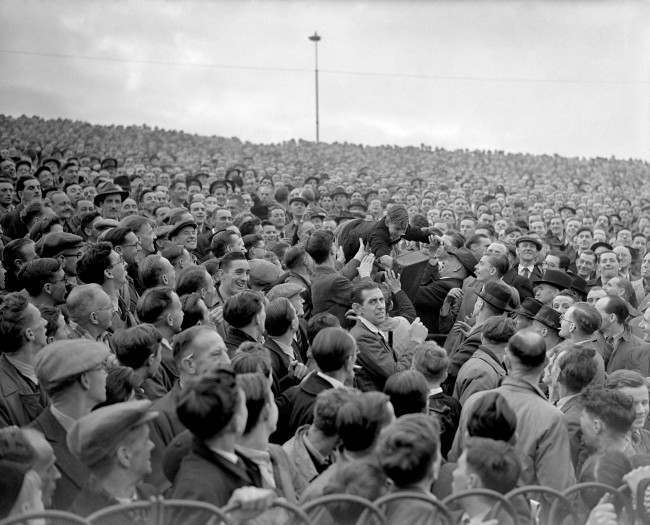 Today the Guardian reports on moves to bring back standing at Premier League football grounds. We’d argue that standing on the terraces never caused the horror at Hillsborough. When the victims were crying out for help behind those cages the police sent for the attack dogs. The deaths were accidental. But they were the result of a policy that portrayed and treated football fans as scum. The Liverpool supporters’ union (LSU) Spirit of Shankly wants to bring back standing. Premier League Football is sanitised and stripped of the passion that made the game so magical. Standing is one stop towards breaking the myriad controls forced on fans. The LSU will ask other Liverpool fans and the families of those killed at Hillsborough for their views on a return to standing at top-flight grounds. “There have been ongoing campaigns for the implementation of ‘rail seating’ at football grounds, similar to those often found in Germany. This has been alongside debate about supporters who currently stand in seated areas. It should be recognised and acknowledged that this occurs. It is an emotive issue. All-seat regulations were introduced into English football by Lord Justice Taylor’s report into the Hillsborough disaster. Rather than censure the police and look to themselves, the authorities moved swiftly to enforce further controls on fans. Sat in numbered seats these criminals-in-waiting were more easily monitored. You want to know why 60,000 fans at Arsenal’s shiny new Emirates ground make less noise than half that number did at Highbury? They’ve been pacified. Sit down. Don’t drink. Book your seats in advance – no groups of mates rocking up to let off steam have a hope of getting in. When the Emirates opened, the club heard the silence. 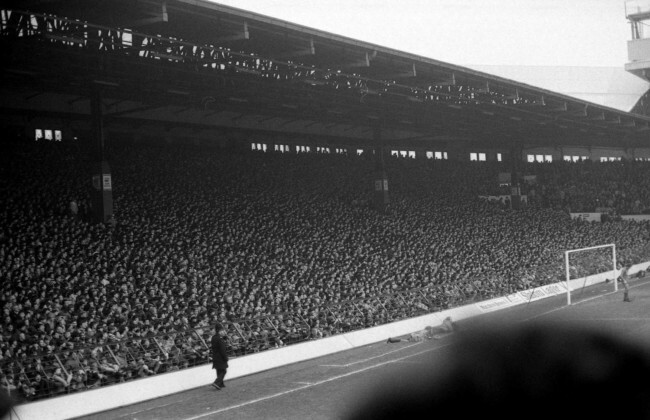 They soon advertised for a ‘Singing Section’, a licensed place where the noisiest fans could sing approved songs. It was pathetic. And so too are standing zones. Football fans have been reduced to accepting scraps of legislated freedom. Don’t stand up in the zone of tolerance. Stand up to the marketeers, control freaks and State that have subdued the fans and taken the fun out of football. Media balls: a look at monocular reporting on Swansea v Liverpool, which the Reds won 1-2. The Times says Liverpool were “disjointed at the Liberty stadium and flattered by the victory that came gift-wrapped from the opposition courtesy of two bad defensive errors in the second half.” The winning goal came when Swansea went into “meltdown”. The goal followed a series of “egregious errors”. The Indy says “Swansea’s defence disintegrated”. The BBC says the results was “cruel on Swansea”. The Guardian: “Borja, the club’s £15.5m record signing, squandered two excellent chances, the second of which came after Fer had put Swansea ahead.” This was compounded by “Van der Hoorn’s awful late miss”. The Liverpool Echo says “Liverpool staged a stirring second-half comeback”. The Daily Mirror says Liverpool were “irresistible“. Adding that “this was the type of victory that runs through any title challenge like writing through rock.” Well, so long as the other side suffer “defensive aberrations“, it might be. In Klopp’s 37th Premier League games, his team has conceded 50 goals. Sometimes a win courtesy of late penalty doesn’t bear the analysis. Filling in the dull bits between transfer windows when the Daily Express’ clickbait bots can link Arsenal to every striker over 10 years of age, the ‘World’s Greatest Newspaper’ has created a Premier League predictor. Using the technical marvel of guessology and powerful maths, the Express makes some bold statements. Bournemouth, Sunderland and Stoke are all relegated – Stoke scoring 6 times all season. In the world of the Express, The Cherries are worse than Hull City – who are better than Southampton – and West Ham. Everton, who Bournemouth just beat 1-10, finish runners up. Chelsea finish above Manchester United. Spurs finish third, conceding – get this – 3 goals. Manchester City win the title. 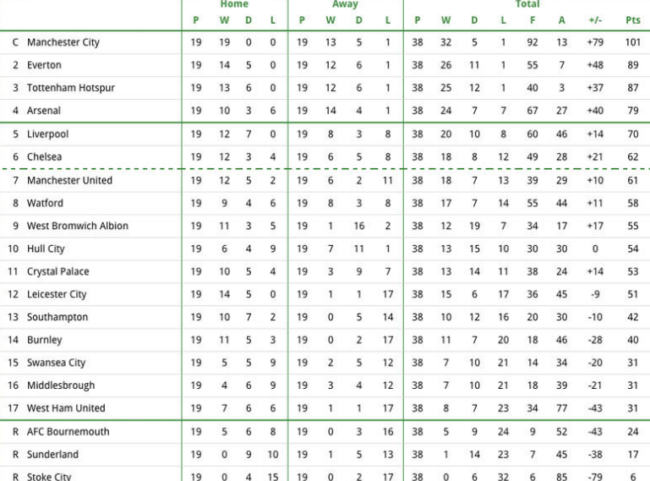 Oh, yeah – Arsenal finish fourth, naturally. Even robots can be right some of the time. Liverpool fans will be gutted. They could have had Joey Barton and not Xabi Alonso in the side. Alsono is a terrific player. Barton has long been underrated as a result of a querulous attitude and pugnacious demeanour. This week he has been banned by his current club Glasgow Rangers following a training ground altercation with Andy Halliday, his team-mate. He is also plugging his new autobiography. In it he notes, “My behaviour was occasionally psychotic.” And ridiculous. “Had things panned out differently, I could have made the obsessive debate about the mutual suitability of the Gerrard-Lampard axis redundant. From what I gathered, Steven Gerrard agitated to get Liverpool to sign me in 2004, because he felt we had the potential to forge a partnership. A kid? Alonso was 22. You might not like Barton, but he is entertaining. Transfer balls: the BBC says Liverpool are on course to sign 17-year-old Borussia Dortmund midfielder Christian Pulisic. They’re not. The Bleacher Report says Liverpool tried and failed to bring Pulisic – the “wonderkid” – to Anfield over the summer with an £11m bid. They are looking to bid again next summer. The Mirror says the 17-year-old is “one of the most highly-rated prospects in world football”. With such a billing, is £11m a cheeky offer? The Mail says Arsenal, Tottenham and Chelsea have “followed his emergence in recent months”. You can add any number of other clubs to the list. ESPN FC says Dortmund “are not willing to sell him due to his potential”. Pulisic is under contract at Dortmund until 2018. And finally know that Pulisic supports Manchester United, “loves” Wayne Rooney and says his favourite player at dortmund was Henrik Mkhitaryan. Pulisic to United it is, then. Yeah, not a single wrist in sight. 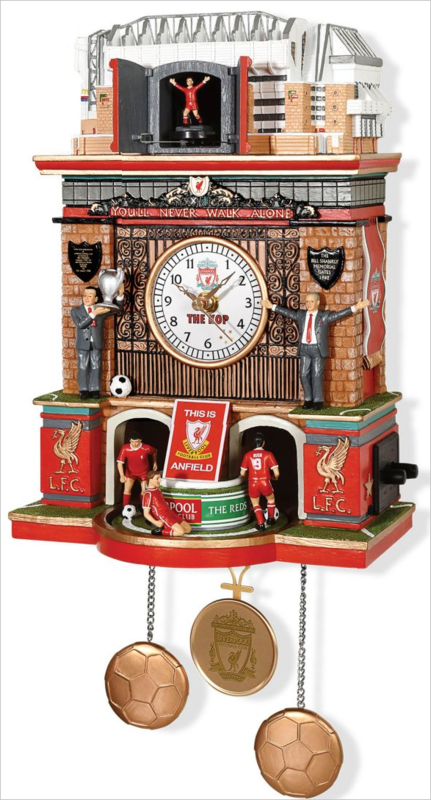 Odd that a brand specialising in watches would show three Liverpool players not wearing one between them. The Official Timing Partner of Liverpool FC. Holler was born out of a long history of soul music originating in the 1960’s. Soul is a genre which combines different elements of gospel music and rhythm and blues. And what is soul music without watches? And they’re on Twitter. 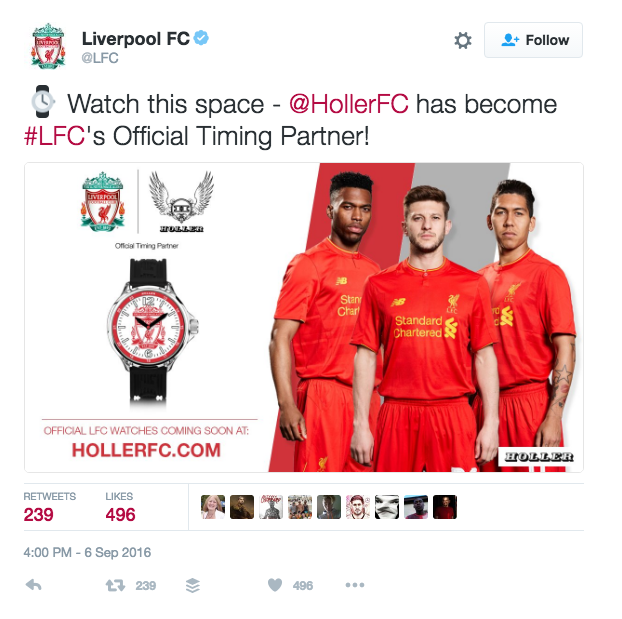 This was how @HollerFC account tweeted about Liverpool. It looks like Holler announced the deal and then mocked Liverpool for their lack of league titles in recent years, praising Manchester United for good measure. …speculation around the legitimacy of the new Holler FC Twitter account in relation to the Holler brand has since circulated. However the @Holler_Soul twitter account, which has over 19,000 followers, had promoted the launch of the Holler FC division in its Twitter background page which read: “Coming soon at HollerFC.com”. This has since changed but a screenshot of the old background can be seen below. Liverpool celebrate their last last league title win on April 28 1990. In Liverpool, Merseytravel wants to ban the Sun newspaper. The city’s councillors all support the company’s efforts to force vendors stop selling the Sun across the Liverpool City Region transport network. It part of a campaign, to “eradicate the paper from the city”. 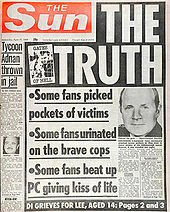 It’s rooted, of course, in the Sun’s awful reporting on the 1989 Hillsborough disaster, in which 96 football fans died. The paper fanned the flames of bigotry, falsely presenting the dead and injured as agents of their own fate. Liverpool fans had not “picked the pockets of victims” and “urinated” on police officers. The Sun lied to its readers. The police lied to public it serves. They turned victims into criminals. 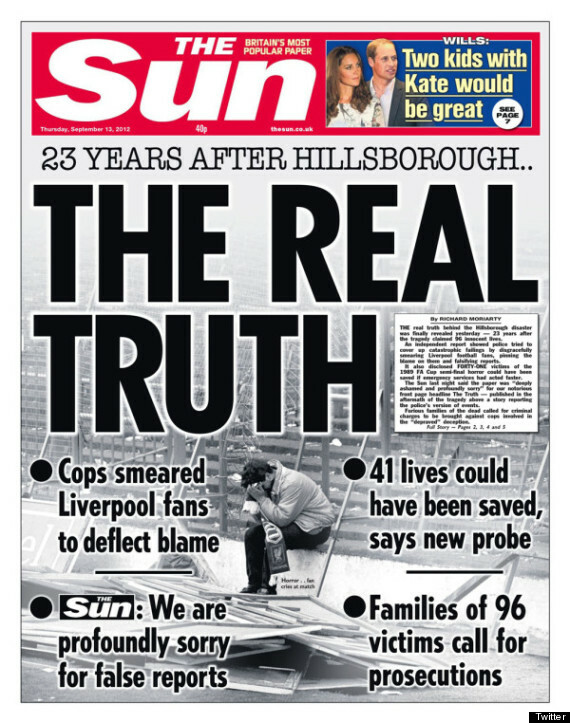 It was not “THE TRUTH”, as the Sun claimed in its front-page headline. But banning the paper is weak. The Society of Editors says the move was “stretching towards censorship”. No. It is censorship. Are you indecent if you buy the Sun, which people do, presumably? Are you morally wrong if you read the paper? This campaign does nothing to honour the dead, the bereaved and the hurt. It seeks only revenge. 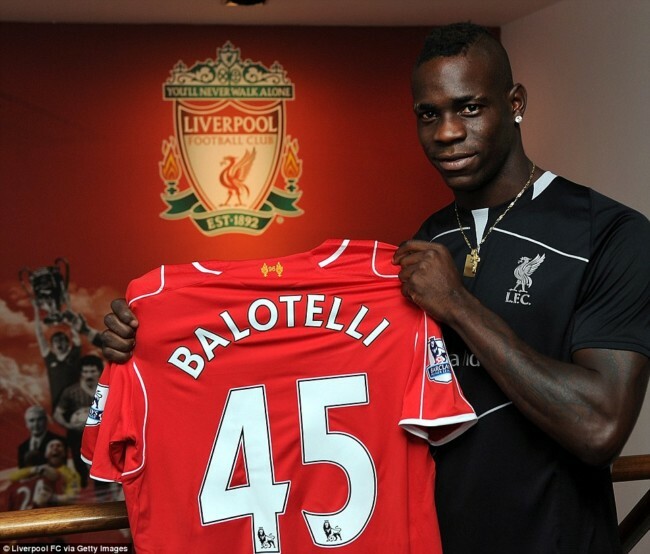 Balotelli, 26, made 28 appearances for Liverpool, scoring four goals, since joining from AC Milan for £16m in 2014. When the Sun led with news that Liverpool’s American owners had rebuffed Chinese attempts to buy the club we enjoyed the headline “You’ll Never Wok Alone”. Readers were told that “Liverpool chiefs will reject moves from the Far East to buy a stake in the club”. It all looked an exercise in PR. Liverpool’s foreign chiefs are much more in tune with the Reds than other foreigners who want to be chiefs. The club is in safe hands. The Chinese are a “state-backed group called Everbright”, who “value the club at £700m”. Liverpool chairman Tom Werner, part of the Fenway Sports Group, says the club would work with the right partner and offers are made “just for the publicity”. Today the Times has more. Liverpool, or Liwupu as it is rendered in Chinese, has received admiring glances in China. Over the weekend it emerged that China Everbright, a state-backed investment company, was looking into making a bid with Amanda Staveley’s PCP Capital Partners. You wonder how these things emerge? The club has also caught the attention of Fosun and Dalian Wanda, Reuters reported yesterday. Both are Chinese conglomerates with a proven taste for western consumer brands with Chinese cachet, counting Club Med and a Hollywood studio among their most recent deals. How depressing to have your beloved football club bracketed with Club Med and cinema chains. Liverpool’s owners, Fenway Sports Group, insist that the club is not for sale despite the £800 million approach said to be in the works. However, leading figures have indicated that they would take a proposal for a minority stake seriously from investors who could open doors for the club commercially. £700million has now become £800m. That figure could go up and up. Nick Davis, chief executive of Memery Crystal, a law firm that advised on the sale earlier this month of West Bromwich Albion to Yunyi Guokai, said that Chinese interest in Liverpool was part of a trend established at the top of the Chinese hierarchy. Xi Jinping, the president of China who last year posed for a selfie with Sergio Aguero, the Manchester City striker, has said he wants China to become a “world football superpower” that could win the World Cup by 2050. China buys Liverpool. China picks the Liverpool team? An £800 million valuation for Liverpool compares with the £300 million paid by Fenway Group in 2010. A series of new laws with a national security focus were drafted or enacted that presented grave dangers to human rights. The government launched a massive nationwide crackdown against human rights lawyers. Other activists and human rights defenders continued to be systematically subjected to harassment and intimidation. Five women’s rights activists were detained for planning to mark International Women’s Day with a campaign against sexual harassment. Authorities stepped up their controls over the internet, mass media and academia. Televised “confessions” of critics detained for investigation multiplied. Freedom of religion continued to be systematically stifled. The government continued its campaign to demolish churches and take down Christian crosses in Zhejiang province. In the predominantly Muslim Xinjiang Uighur Autonomous Region, the regional government enacted new regulations to more tightly control religious affairs and ban all unauthorized religious practice. The government maintained extensive controls over Tibetan Buddhist monasteries. The UN Committee against Torture regretted that previous recommendations had not been implemented. All very fit and proper. Media Watch: a look at monocular football reporting. In today’s match we look at biased views on Liverpool’s away defeat to Burnley. The game ended 2-0. Ragnar Klavan’s cross-field pass didn’t do Nathaniel Clyne any favours and as Burnley pressed, the full-back coughed up possession cheaply. Nathaniel Clyne, Liverpool’s England full-back, was badly at fault, with a poor pass deep in his own half finding only Gray who, in turn, fed Vokes. 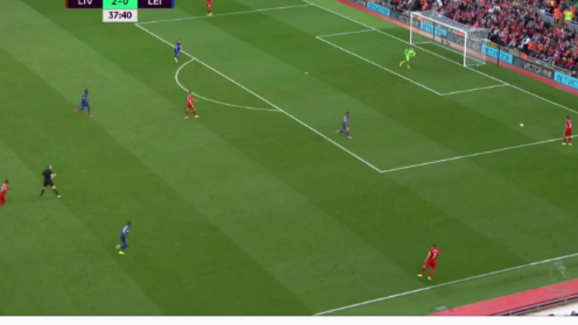 Gray picked up the pieces from Nathaniel Clyne’s poor pass, fed the ball in to his strike partner and, with Dejan Lovren or Ragnar Klavan not even in close proximity, Vokes swept the ball beyond Simon Mignolet from the edge of the box. Clyne was not at fault. Clyne was robbed! HAVE YOU EVER HEARD A secretary starting to yell and run around the office just because she succeeded to answer the phone? In football this is considered normal. If you score you often just bellow like a horny animal and do these ridiculous madman celebrations that would in the normal life get you hospitalised. And when the ball goes a bit wide from the target everybody raises their hands, throws their neck and sighs ooooh! Can’t really see a barber doing that just because he cut the customer’s mullet a bit too short. So the truth is, Roy Keane is a much better player but also a very different type of person than I am. Well, I prefer it to stay this way. And maybe after this article I have to be careful if I ever play against him. But whatever happens, I am not going to sue him, because I enjoy watching him playing. A FOOTBALLER ATE GREASY fries, coke and a burger and actually played like Ronald McDonald next day. Brilliant. So to Danny Ings. Usually at this level, a lot of players do actually know each other from previous experiences, but of course some don’t. Things like we did today, going to Alcatraz and having a walk around together, means people can get to know each other’s personalities a bit better, find out who can speak which languages and find out who has got banter and who hasn’t. Aki wrote in English as his second language. Danny Ings is English. Transfer balls: Liverpool are keen on Arsenal forward Theo Walcott. 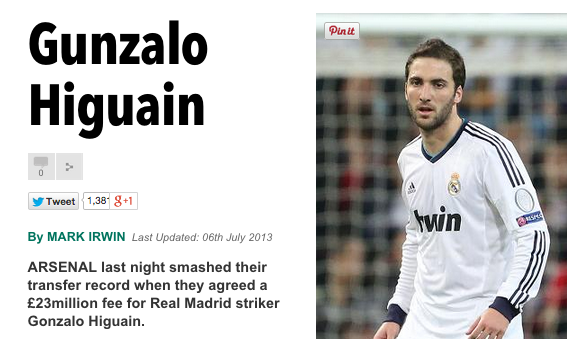 The Sun says Liverpool will pay £25m for the 27-year-old. The Sun says Liverpool manager Jurgen Klopp intends to offer Walcott more first team game time than he can expect to get at the Emirates. If Arsenal do buy Jamie Vardy – and, c’mon, that deal is a sure thing – Walcott, who covets the striker’s role, will move one step down the rung. And then there is Alex Iwobi, the powerful forward who broke through into the Arsenal first team last season. Walcott is not a vital cog in the Arsenal machine. He can leave. 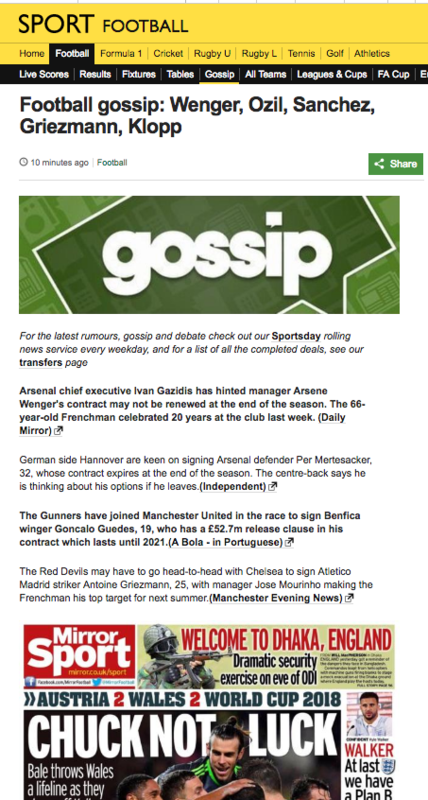 The Gunners were shrewd enough to secure Walcott on a four-year deal last summer. That deal keeps the player at the Emirates until 2019. It also means any move away will come with hefty fee. And they should sell. There has always been something of the nice middle-class boy about Walcott. Does he want it? How badly? Walcott has been “one for the future” for so long you wonder when, if ever, he’ll rise to the fore. He is infuriating, rarely imposing himself on a fullback you feel he can beat with ease. At Liverpool he’ll gets a fresh start. And that’s Walcott all over – a player who petitions for a new go in a better position but never quite convinces in any. Transfer balls: The Sun says Liverpool’s striker Christian Benteke has “warned” Jurgen Klopp: “Pick me regularly or I’m off.” Benteke has issued a “Kop Threat”. Will Klopp take kindly to being threatened? Not exactly a warning, then. More resignation that if Klopp doesn’t rate him, he’ll be on his way. And the Sun has been trailing Benteke’s departure for months. They hated and criminalised football fans when 96 innocent Liverpool fans died at Hillsborough in 1989. 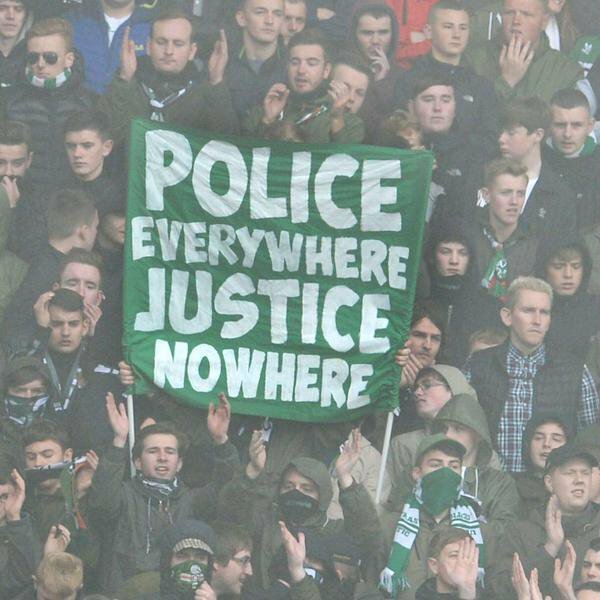 They hate and criminalise football fans now, idiots included. A 50-year-old man has been charged with a public order offence after he was seen at a pub wearing a T-shirt mocking the Hillsborough disaster. Paul Grange, from Worcester, was charged by West Mercia police with displaying threatening and abusive writing likely to cause harassment, alarm or distress. Any police officers been charged with, you know, treating innocent people like criminals, putting their loved ones through years of hell, branding the survivors as killers, sending for the dogs as the dying cried out for help, causing distress, harassment and alarm?